Now when the winter time really has kicked in here in Sweden, it's a perfect time to hit the gym and prepare my body for the upcoming season. I usually do five sessions at the gym per week. Two are running sessions when I run about 7 km, in the other sessions I focus on my strengh. Offcourse it's not allways an adrenaline rush to hit the gym, But I always listen to music wich reminds me of windsurfing and that makes it easier! Here is my workout playlist on spotify for ya'll to use if you like it. 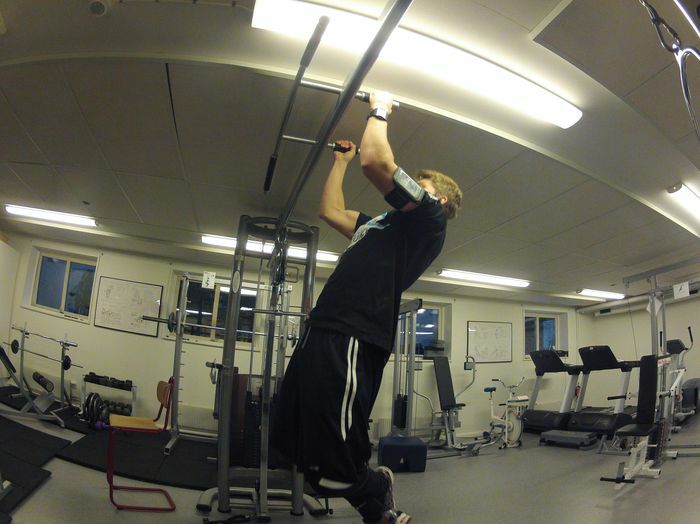 Pull-ups is a super good exercise for windsurfing in my opinion! The winter has really settled here in Sweden. Below zero degrees everyday and no wind at all. That is what I'm trying to show in this edit and I hope you like it! Summer chillin! from Markus Rydberg on Vimeo. 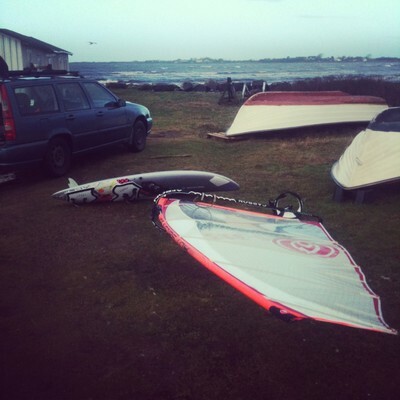 I had my first session about a week ago at my home spot Läjet. 2013 welcomed me and the other locals with sick conditions, full power in 4,5 and shreddable waves. I had super fun and can't wait to next session! Other than sailing and fitness training I am planning a lot for the comming season. I am very motivated to make 2013 my best year so far and I have a good feeling about it!